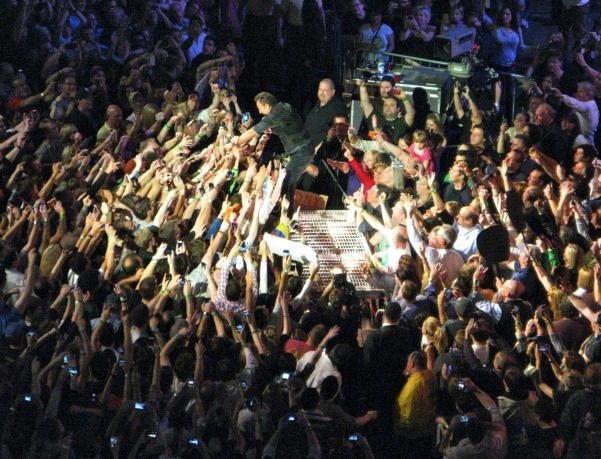 This is another picture from the Bruce Springsteen concert last week. Remember the “old” days when everybody held up flaming lighters instead of cellphones cameras at rock concerts? Lucky you, to get to see Springsteen. Never have myself, but I have heard his shows are amazing, as you have confirmed. So… what was your favourite concert EVER? I think mine would have to be Alanis Morrisette — here in Ottawa, right after the huge success of her Jagged Little Pill album. The hometown crowd was INSANE. Haven’t loved any of her other stuff as much. Nora, I had the same thought when I saw everyone with their cellphones. This was my first time seeing Springsteen, by the way. My favorite was every Rolling Stones concert I went to in the 70’s.